After rail franchise U-turn, the CIPR suggests CEOs should be included on statutory lobby register. Virgin Trains' lobbying campaign over the West Coast Mainline rail franchise has raised questions as to whether CEOs should be included on any register of those that lobby Government, according to the CIPR. The high-profile battle over the West Coast Mainline service between Virgin Trains and FirstGroup came to a head on Wednesday of last week, when the Department for Transport ditched its decision to award the franchise to FirstGroup, blaming ‘significant technical flaws’ in the process. The move came after a campaign of high-profile media attacks by Virgin founder Richard Branson and requests for a judicial review after Virgin lost the franchise on 15 August. 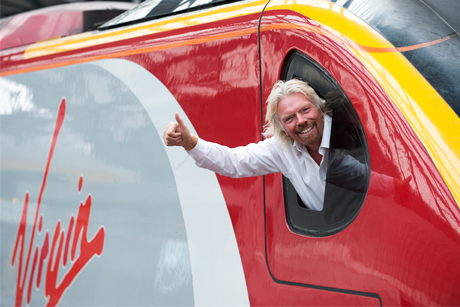 Branson’s own activities have been key, including a phone and letter-driven campaign for several weeks, alongside Virgin Rail chairman Patrick McCall and Martin Griffiths, CEO of Stagecoach – which has a 49 per cent stake in Virgin Trains. Initially, the three liaised with the transport select committee and the chairman of the public accounts committee, until Prime Minister David Cameron returned from holiday, when he too was called by Branson. Morgan suggested politically active CEOs such as Branson could be included on the Government’s statutory register of lobbyists if their interaction with Government goes over a specific time threshold. Arthur Leathley, Virgin Trains’ comms director, told PRWeek that the campaign had dominated the firm’s comms in recent weeks, accounting for 80 per cent of its PR activity. The campaigning was supported by Fishburn Hedges, which has been working for Virgin Trains since 2005 and was reappointed in 2010 with a specific brief to help the operator hold on to its West Cost Franchise. The agency team is led by director Rory Scanlan. Virgin Trains has also brought in additional lobbying firepower with Bill Clare, a former aide to Chris Grayling and Liam Fox, who launched his own agency last year. Edelman UK CEO Ed Williams commented: ‘Without doubt, the Virgin campaign has been highly effective. Their message was simple, consistent and they engaged the public. Richard Branson’s personal intervention ensured the message was heard loud and clear. The Department for Transport has hit back at suggestions that it aimed to bury bad news by announcing it was scrapping the deal in the early hours of Wednesday morning last week. The DfT issued a statement after midnight in which it revealed that it was scrapping the contract with FirstGroup, blaming technical flaws in its calculations. General Secretary to the Rail, Maritime and Transport Union Bob Crow subsequently suggested the timing was a ‘cynical exercise in news management’. Speaking to PRWeek, a DfT spokesman said the press release was issued as soon as Transport Secretary Patrick McLoughlin had been made aware of the issue. The press release announced that the department was launching two reviews. A further announcement was issued that day in which it revealed that two members of staff had been suspended. The news comes as the department continues to search for a permanent director of comms. Acting director Nick Court is currently leading the department. The DfT, which welcomed McLoughlin last month, has been without a permanent director of comms since Court was promoted to the role in May.